Oh dear me. I have something to confess. I mopped the kitchen yesterday. Wait, let me rephrase that. I FINALLY mopped the kitchen yesterday. It's been about a month (no, I am not joking) since I last mopped. I know, I know. What in the WORLD am I thinking? I'm thinking how much I do NOT like mopping lately! HAHAHA! Of course, now that it's done and the floors are all shiny, it seems like it was not such a hard thing after all!!! 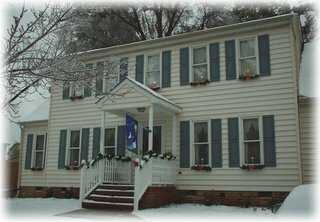 Oh, and the house smelled GLORIOUS when I was finished because I love to use Mrs. Meyer's products. So what have YOU been putting off? What job in your home have you put off and put off? Start it today!! Perhaps it isn't as big and bad as you had feared it would be!!! 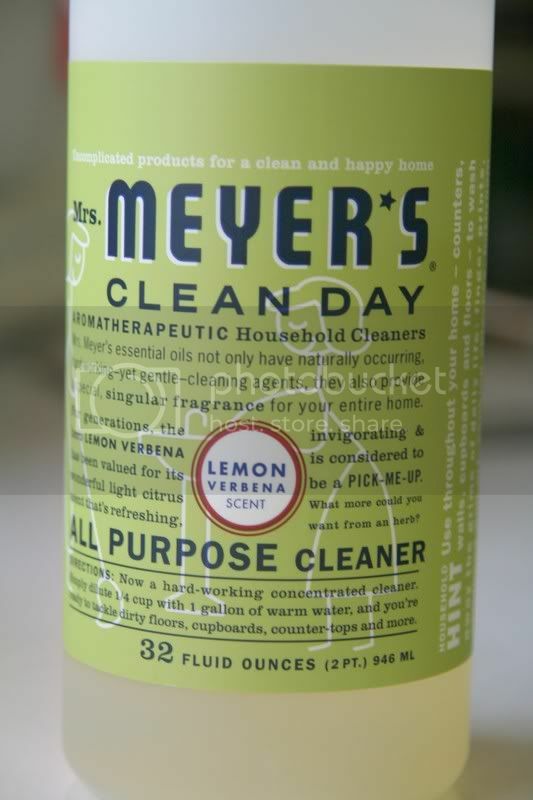 I need to finds some of that Mrs. Meyers stuff and get on my kitchen floor...YIKES!! By the way, I tried the clean-sink post. Even if I can't tell much of a difference....I KNOW it's much cleaner. Well, it has been a few weeks since I can reach anything below my knees, and now everything below the counters seem to have disappeared - really the strangest phenomenon and could not possibly have anything to do with being almost 38 weeks pregnant! So I am behind on lots! But I have the secret weapon - along with Mrs. Meyers of course. Miss Pear and I picked up my MIL at the airport last Wednesday, and we are getting caught up on lots of stuff! If baby waits until next week as scheduled, we may even be caught up! I love Mrs. Meyers stuff and I hate to mop. I have found having slate that it doesn't really do the job to use a mop so I am usually down on my hands and knees...what year is it? It's probably been that lont since I mopped too! Since I live in the sandhills, I have to sweep all the time, so I don't want to have to mop too! Guess I need to go and do it, huh? Maybe I need some of Mrs. Myers cleaner. Where do you get it? What a blessing that your mother-in-law is able to be there right now!!! I am quite sure that both you AND Miss Pear are very happy to see her!! If you go to www.mrsmeyers.com, you can click on "store locator" in the upper right corner and find a location near you that sells this product. All of their scents smell heavenly, in my opinion!